Everyone deserves to treat themselves. Some may choose to enjoy a luxurious massage at San Antonio’s finest spa or book a last-minute vacation in gorgeous Maui. Whatever the case may be, we all know that it feels great to give ourselves a little love from time to time. I often treat myself by going out and experiencing amazing meals that leave me saying “OH MY GOODNESS, THAT WAS BEYOND PERFECTION!” #hellomynameiskristyandiamafoodaholic I admit, sometimes I go a little overboard, but I can promise you, it is ALWAYS worth it. My treat last week was The Sandbar Fish House & Market, which is an Andrew Weissman restaurant, located at the historic Pearl Brewery. The Sandbar features fresh seafood, a variety of homemade artisan breads, as well as homemade seasonal desserts! All of this fine dining deliciousness is presented in a beautiful, casual environment. Also, the staff is extremely knowledgeable and attentive to guests, which was a huge highlight for me. 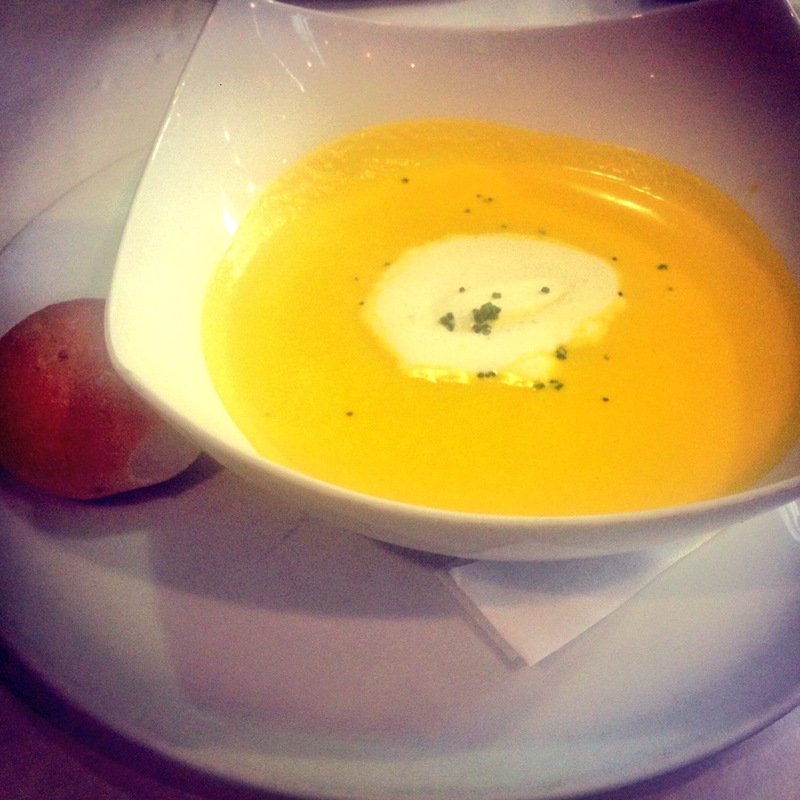 Prior to my visit, I was instructed by several friends to try the carrot ginger soup as a starter…so, I did! It was the BEST soup I have EVER had! It was decadent, warm, cozy, inviting and rich in flavor! Not to mention, it was a gorgeous shade of yellow! You MUST try it!! I promise, you will not be disappointed! Next, I ordered the Arctic Char as an entrée. 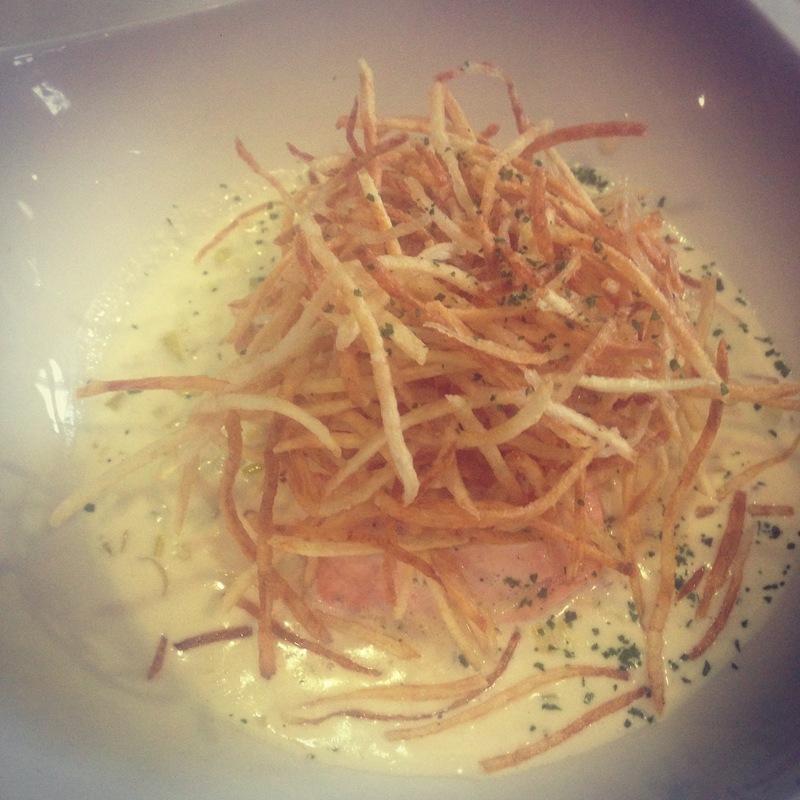 It was poached, sautéed in a creamy sauce and topped with crispy potatoes. The Arctic Char was delicate, pink, flavorful and absolutely fabulous! Andrew Weissman and his team deserve a standing ovation. If there was ever place to treat myself, The Sandbar Fish House & Market was the perfect spot. At that moment, I felt like the luckiest girl in San Antonio. DON’T MISS: Soup of the Day (IS A MUST), Homemade desserts, and of course the FRESH seafood!